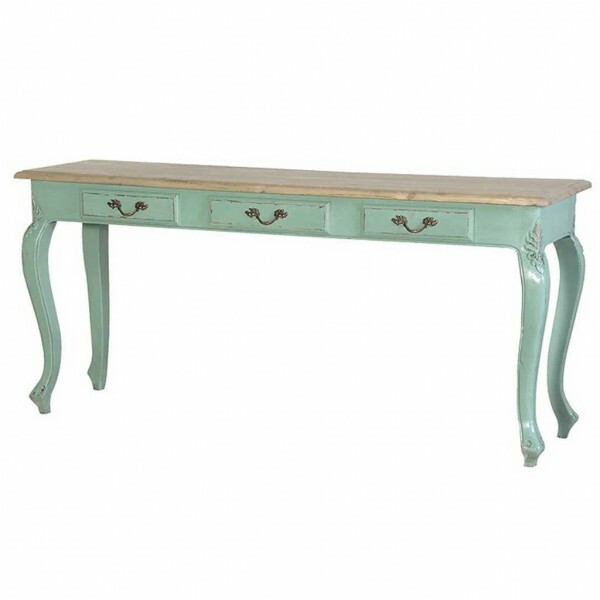 Traditional French style painted console table with a wood top. Hand painted in a slightly distressed turquoise finish. 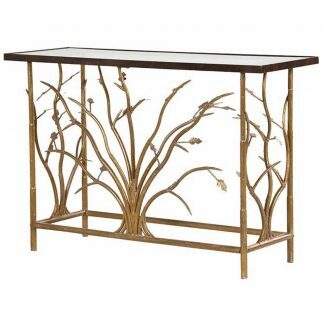 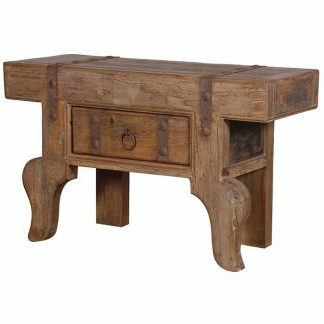 The console table features three drawers complete with stylish brass drop handles, decorative patterned legs and feet. 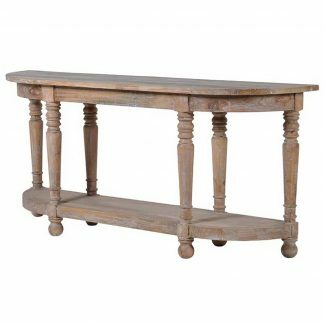 This versatile antique style console table is perfect for any hallway, living room or kitchen, and a classic way to add elegance and the finishing touch to your hallway décor.